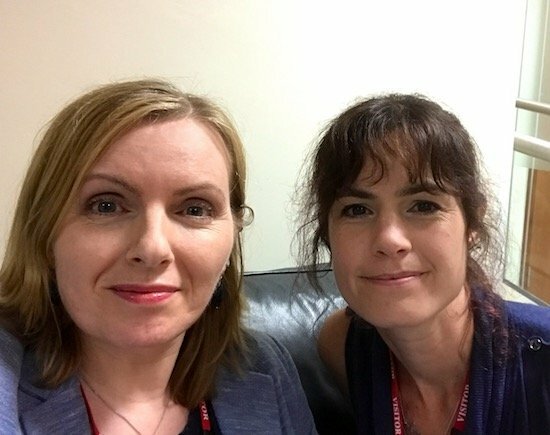 Renata and I recently visited the Department for Education and met with the Director of SEND, Ann Gross and Dan Evans, another senior official. We handed to them around a hundred submissions from parents who both emailed in and left them on SNJ's Facebook page about their experiences over the last year or so with SEND. Overwhelmingly, it wasn't a pretty picture, although of course there may be many parents out there who have good experiences who don't share them with us (which is a shame as we need to highlight good practice where it is found too). 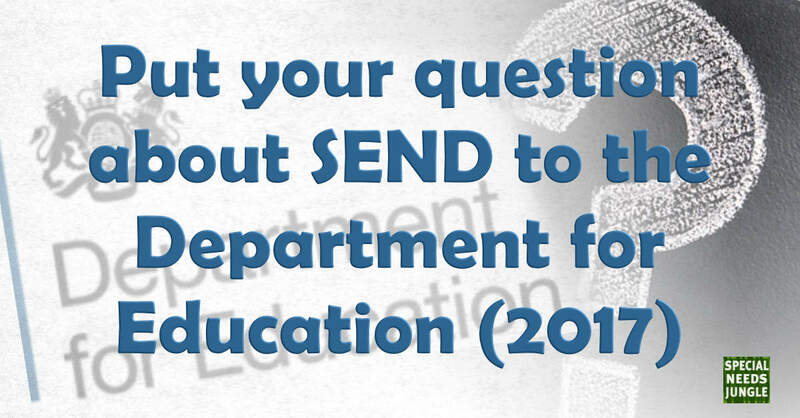 In the meeting, we agreed once again for SNJ readers to submit questions to the DfE and we would send them the ten most popular 'themes'. I say 'themes' because the last time we did this, in January 2016, there were lots of questions but many were variations of the same issue, so it was possible to group them together so the DfE could touch on more areas within each theme that were giving parents the most cause for concern. We're delighted that we've been offered the same opportunity to do this again and although the meeting was at the start of summer, we've left it until the new school term so that everyone is back from any holidays, into the swing of the autumn term and can participate. Taking part couldn't be easier. Just fill in the form below with your burning SEND question and send it in BEFORE THE END OF SEPTEMBER 2017, which gives you just under a fortnight to think up the question you want to ask. After that, we'll group them into the ten top themes and send them into the DfE and await their answers, hopefully this side of Christmas. If you have any personal EHCP or SEND legal questions that you need answering, please direct them instead to our EHCP Clinic or our Ask IPSEA service. Both are free.